Sawyer Pest Management’s Home Protection Programs and One Pest Service Programs have been specifically designed to eliminate your existing pest concerns, and to protect your home or cottage from future pest infestation. Our pro-active programs include thorough inspections to the interior and exterior of your home or cottage, identification of areas of infestation, as well as areas at risk of infestation, pest identification, targeted treatments, scheduled monitoring and follow-up. Sawyer Pest Management is committed to doing what is right for your family, home and environment. Our programs only use registered, Health Canada approved products and Licensed qualified technicians. We are proud to be an industry leader, providing our clients with responsible, effective pest control solutions. You are protected against the following pest species when you sign up for one of our Home Protection Programs: Bees, Earwigs, Carpenter Ants,Carpenter Bees, Carpet Beetles, Centipedes, Cockroaches, Cloths Moths, ClusterFlies, Earwigs, Mice, Millipedes, Pavement Ants, Pillbugs, Rats, Silverfish,Sowbugs, Spiders, Stored Product Pests, and Wasps. 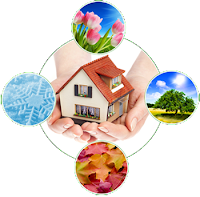 Sawyer Pest Management One Pest Service programs will take care of your current needs by effectively removing the pest causing you concern in an environmentally friendly manner. Please contact us today to schedule your appointment or to have your questions answered. When it gets chilly outside, we're not the only ones who want to come inside for winter. Both urban and rural homeowners battle critter infestations in autumn - actually, all year round, depending on the animal. But in fall, mice, squirrels and raccoons, in particular, will do their best to pop in for a visit, and stay for the season. According to Bill Dowd of Humane Wildlife Control, which operates in Quebec and Ontario, we're practically sending them gold-plated invitations. "We've made it very easy for these animals to flourish in our cities by giving them food sources - our garbage," he says. "A raccoon's idea of hunting these days is not looking to a creek for crayfish, it's climbing out a chimney and tipping over the garbage can." In more than 20 years in the business, Dowd has seen some nasty stuff. "The biggest damage is probably electrical fires, $60,000 to $70,000 in property damage due to fires caused by squirrels or mice chewing on electrical wiring," he says. And an infestation won't just hurt your wallet. There are health risks associated with these furry critters. "Animals in an attic are defecating and urinating," says Dowd. "We'll go into some attics that are unbelievable. No insulation, mounds of feces. The entire attic is contaminated." The best medicine, and least costly in the long run, is prevention. There are jobs a homeowner can do, Dowd says, while others require a professional. 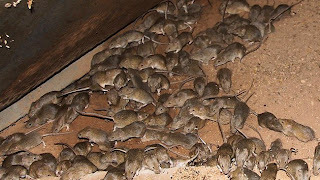 If you already have an infestation, getting rid of the critters and whatever they've left behind (disease-laden waste, contaminated insulation, parasite-infested corpses) is a job for the pros, who will determine where the animal is gaining entry, put one-way doors on active entry points, decontaminate, and then seal all the entry points once the animals are out. If you're confident no one's moved in yet, inspect your home exterior regularly for entry points and seal them..
"The biggest challenge is the proper maintenance of your roof," he says, suggesting it be inspected once a year (before the snow). Look for loose shingles, broken or missing roof vents, animal feces and/or tracks, signs of chewing, and check the eaves troughs, where a build-up leaves not only creates an attractive food source for raccoons, squirrels and birds, but can also create other headaches. If the debris freezes, the ice can cause the fascia to pull away from your roof. "That creates a gap, so you've created an entry hole," says Dowd. Also check for gaps at the bottom of your garage door and avoid leaving the door open unattended; inspect soffits and downspouts to ensure they are still attached properly, and ensure there's no gap between soffits and the house; check weep vents around the base of your home, which should be screened with 1/4-inch screening (don't block them or you'll create moisture problems inside); check for holes in pointing; damaged stove, plumbing, roof or wall vents; damaged or uncapped chimney; roof valleys (where two rooflines meet). Caulk small holes, but larger holes should be screened. If something's already inside, let the pros handle it, and hire someone who understands animal behaviour. Dowd warns against covering a hole immediately, for instance, because an animal will instinctively return and make another one nearby. "It's important to put screening up there initially because they see through the screen, see their den and start tugging, chewing and ripping at our screen to get back in. Eventually they realize they can't get in and they move on, because they'll typically have 10 to 15 den sites in a neighbourhood." He also tells homeowners to hire someone who won't harm the animal and will ensure family units are kept together. And trapping doesn't work. "Seventy percent of relocated animals die," says Dowd. "Plus you still have the odour, which will attract other animals and you still have the hole in your roof." The only long-term solution is prevention by sealing vulnerable areas and being smart - doing simple things like putting your garbage out in the morning, never overnight, rinsing recyclables and putting lids back on. 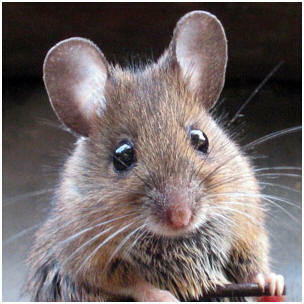 · Fact 8 - Mice eat practically anything! · The house mouse has been evaluated but findings show no immediate threat to the survival of the species. Most of these interesting facts about Mice are quite amazing and some are little known pieces of trivia and facts! Many of these interesting pieces of animal information and fun facts about Mice and info will help you increase your knowledge on the subject of animals and the mouse. It is important to make sure the floors are always clean: mop up any spills right away with cleaning solution. It is recommended to clean the house hold flooring at least once per week and the kitchen a couple times per week. Keep the trash outside in a bin, and make sure it gets picked up by the garbage truck regularly. It is best to not leave any trash in your home overnight. This means all of them in the bathrooms, bedrooms, and the kitchen. Avoid leaving fruit out on the counter, it is best to keep it refrigerated even when it's ripe. Make sure the sink is emptied every night, with no dishes left behind. If you can't get to them, fill it with soap and water for the evening. Any food that is left out, make sure it is tightly sealed in appropriate containers. Cereal or seeds, grains and bread, keep them sealed either in bags or containers with a locking seal. Clean up any leaks in the house or fix dripping water faucets. It is important to keep the house dry and clean up any spills, even splashes of water. If you have pets, they need a bath at least once per week. Keep up to date on their flea treatments and make sure the hair brush is clean. Remove any cracks or open spaces in your homes structure; seal up any cracks on baseboards, cabinets, pipes, ducts, and fittings inside the home. Check outside and caulk all door frames, window frames, roof joints and any visible cracks on the exterior surface. The outside of the home should be kept as tidy as possible, by making sure any wood piles or leaves are not just laying around in the yard. Trim your plants down to make sure critters can't crawl up into your home. The gutters can harbour insects, and it's a good idea to keep those cleaned out. Pay close attention to what you bring into the home the best you can. Many unknowingly bring in insects or insect eggs when buying fruits and vegetables. Boxes or bags used to bring home these items can also harbor pests or eggs. Once they get through the front door of your home, they can multiply and cause infestations. Roaches are especially prone to be brought in this way. These tips are meant to be a great starting point and not guaranteed to keep out all pests. If you are having problems even after following these tips, then you may want to seek the help of a professional. If you need professional help with pests in your home call us today for a free estimate 519-661-6886. Sawyer Pest Management′s team is ready to help you take control of your home. We specialize in Pest control London Ontario, pest management services, pest identification, pest extermination, and we service all of London Ontario plus surrounding areas for pests such as St. Thomas, Strathroy, Ingersoll, Dorchester, Exeter, Lucan, Goderich, Bayfield, Ailsa Craig, Appin, Arkona, Aylmer, Beachville, Belmont, Clinton, Dashwood, Dutton, Glencoe, Grand Bend, Hensall, Ilderton, Kirkton, Komoka, London, Melbourne, Mitchell, Mount Brydges, Nairn, Parkhill, Port Franks, Port Stanley, St. Marys, Seaforth, Springfield, Tillsonburg, Watford, Woodstock, Zurich. The best at Pest Control and complete pest control packages are provided to get rid of bugs. 519-661-6886. If you think you don't need to worry about bed bugs in London, talk to the London International Academy boarding school students. Or better yet, take a close look at them. It won't take long to find clusters of red bug bites on the students -- whose parents pay $20,000 per year for accommodation at the Park Tower on King St. and pre-university courses at the downtown private school. "Right here," said one teen yesterday, rolling up his sleeve to show where he was bitten the week before. "My neck," said another, gesturing to a grouping of six angry red welts just under his chin. Many of the students have arrived during the past month to start school meant to prepare them for Canadian university. Their English is still spotty, but when stopped out front of their residence at 186 King Street Thursday, all were familiar with the term bed bugs. "Oh yes bed bugs," said one boy, who declined to give his name or have his picture taken. "I've been here two weeks. I was bit three or four nights. Another student said he had seen the bugs and killed some, but still he wakes up with bites "every night." Inspectors with the Middlesex-London Health Unit are aware of the situation at the building, said environmental health director Wally Adams. He said a health unit inspector called out for something else in August noticed some bed bugs and ordered the building manager to "beef up integrated pest management measures. When the inspector returned Aug. 23, he was satisfied that the manager had complied. "The school and landlord are working cooperatively to address this problem," said Adams. A manager at Park Tower said the building has dealt with "a few isolated incidences of bed bugs, no different than any other residence in London." She too declined to give her name, but said landlords have a "preventative program in place to proactively manage pests." She said she was too busy to comment further, but would be available for interviews after September 23. She would not comment on the significance of the 23rd. Earlier this week the Health Unit said calls about bed bugs have doubled in two years and an official with the London Middlesex Housing Corp. said it's pest control budget has skyrocketed to $300,000 from $25,000 four years ago all because of bed bugs. The housing corp. and health unit have now partnered for a public awareness program and representatives plan to visit every city owned complex starting next week to talk to residents about bed bugs, how to recognize them and how to prepare their units for treatment. Traditionally, the health unit does not get involved in situations regarding bed bugs because they are considered a "nuisance," not a "health hazard." But the problem has become so widespread, that the health unit is asking the public to phone in reports of any infestations.